Our CSA has been loading us up with squash and zucchini. And of course a new fresh dozen eggs every-week. It's been wonderful. 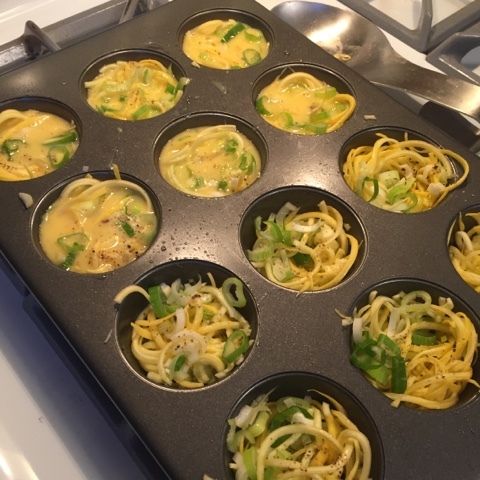 Working on finding kid friendly recipes, unfortunately it's like pulling teeth trying to get my oldest to eat anything 'egg' related... well besides cupcakes. He did however take a bite and ate it! My middle kiddo loved them, but she loves eggs. So I will venture to say they are for the most part kid approved. 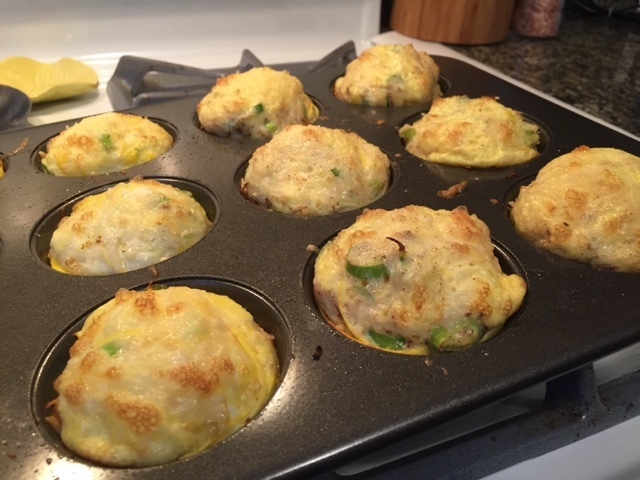 This recipe is similar to my previous posted Zucchini Egg Cups, however I used more veggies for this and I think they turned out better. The nutmeg gives it more flavor too. I used my spiralizer to cut up the squash. Threw in some diced scallions then covered with beaten egg mixed with nutmeg. So simple. Sprinkle some Parmesan on before you pop it in the oven, or whatever cheese you have. Back for 15-20 minutes and enjoy! 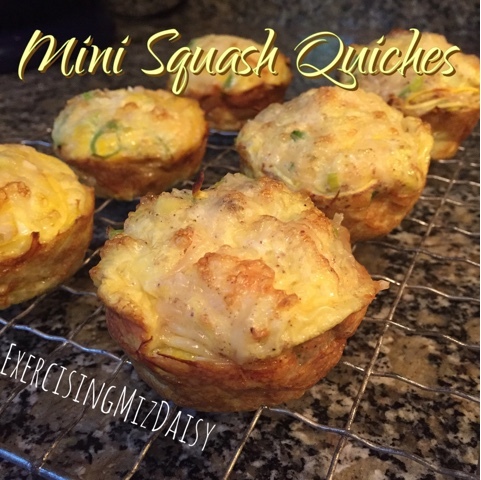 Spiralize squash and divide evenly into 12 muffin cups. Evenly distribute diced scallion (greens and whites). Crack eggs into dish, add in seasonings, beat until combined making sure to incorporate lots of air to help eggs get fluffy while baking. 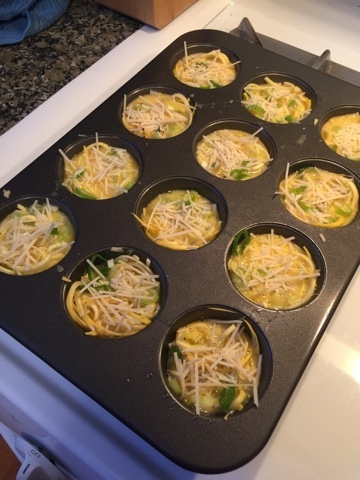 Pour eggs evenly into 12 muffin cups. Each cup equals one egg. Top with a sprinkle of cheese. Bake for 15-20 minutes or until a toothpick comes out clean.